Grace Episcopal is in Amherst, MA. 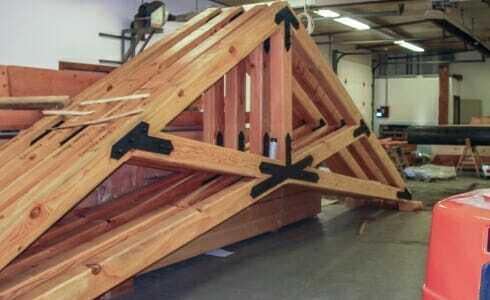 Vermont Timber Works constructed wood ceiling trusses with steel plates for the church. We worked with A.R. Green & Son, Inc and James Cullin Architects on this project. 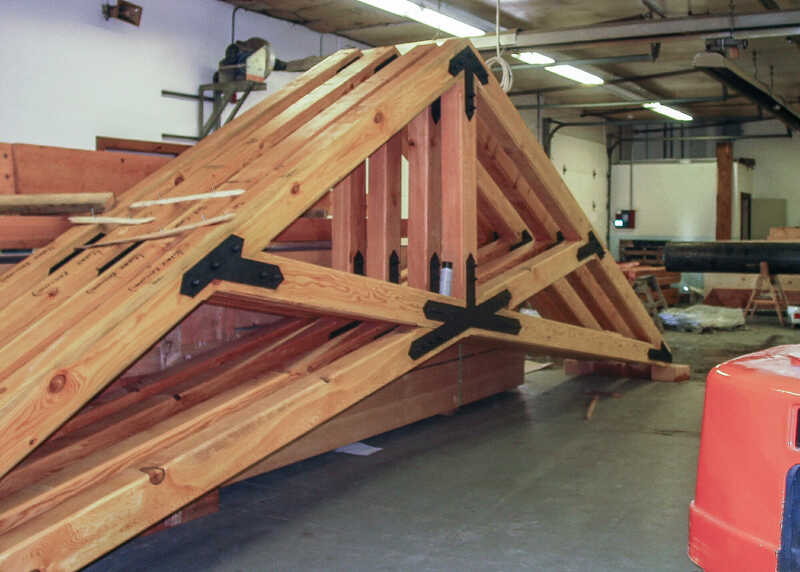 All of our frames are handcrafted to meet exact project requirements, and we enjoy working with our clients to make sure the details – from design to finish – are just right. We are experts in new church construction. 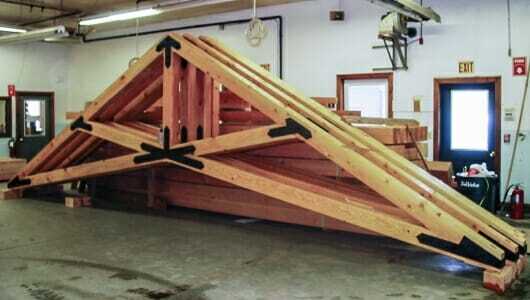 The trusses are designed and fabricated in the Vermont Timber Works shop. 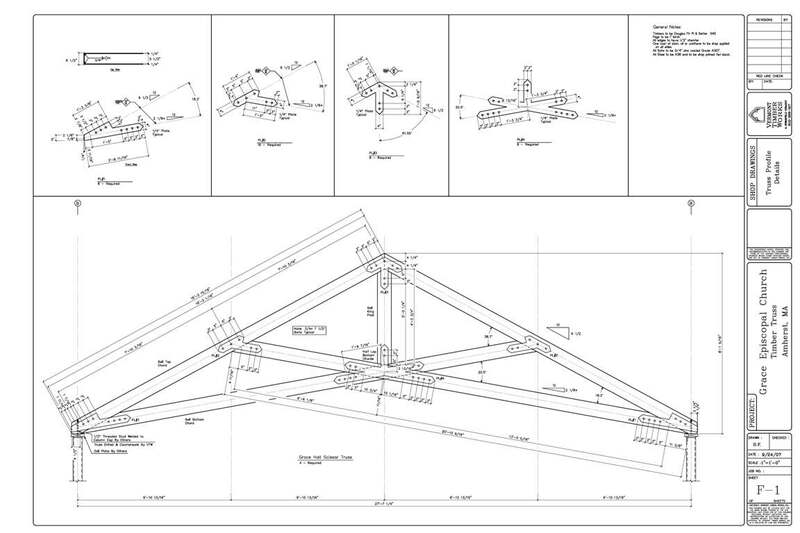 After fabrication, they are shipped to the job location where the crew raises the frame. 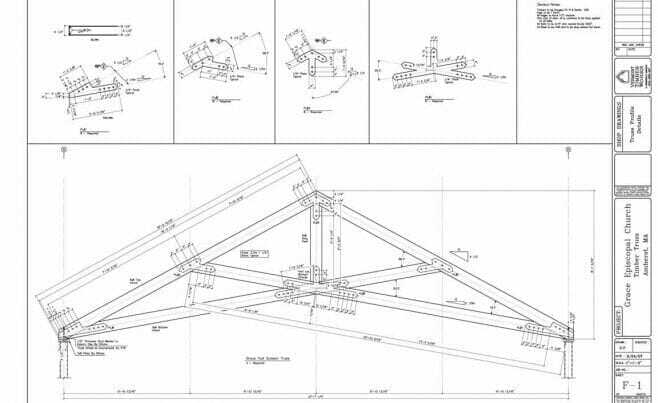 Below, is a 2d drawing of the truss profile, which is used by the framers for fabrication, and also, the completed trusses sitting in the shop ready for shipment.